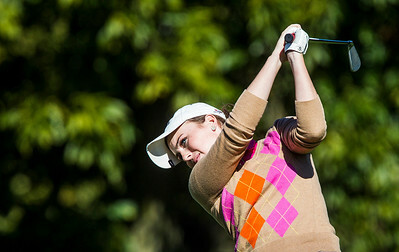 Kyle Grillot - kgrillot@shawmedia.com Crystal Lake Central's Emily Jean tees off on the first hole during the Fox Valley Conference girls golf tournament at Crystal Woods golf course Wednesday, October 2, 2013. 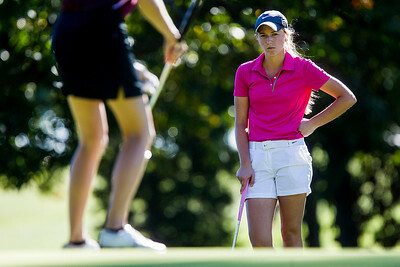 Kyle Grillot - kgrillot@shawmedia.com Crystal Lake Central's Bailey Bostler watches as Prairie Ridge's Anne Schulz putts the ball on the second hole during the Fox Valley Conference girls golf tournament at Crystal Woods golf course Wednesday, October 2, 2013. 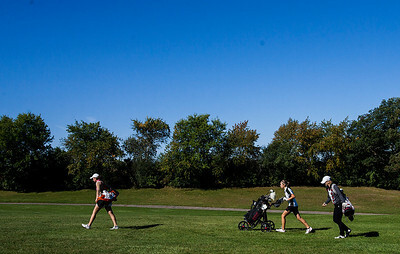 Kyle Grillot - kgrillot@shawmedia.com Prairie Ridge's Brook Johnson watches her ball after teeing off on the first hole during the Fox Valley Conference girls golf tournament at Crystal Woods golf course Wednesday, October 2, 2013. Kyle Grillot - kgrillot@shawmedia.com Huntley's Casey Rhode tees off on the first hole during the Fox Valley Conference girls golf tournament at Crystal Woods golf course Wednesday, October 2, 2013. 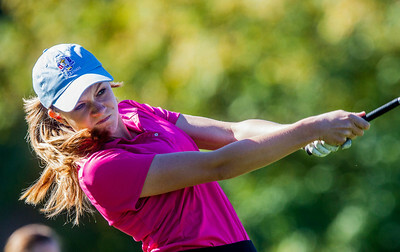 Kyle Grillot - kgrillot@shawmedia.com Huntley's Gillian Young chips the ball on the second hole during the Fox Valley Conference girls golf tournament at Crystal Woods golf course Wednesday, October 2, 2013. 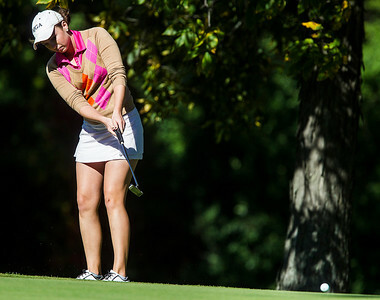 Kyle Grillot - kgrillot@shawmedia.com Crystal Lake Central's Lexi Harkins putts the ball on the second hole during the Fox Valley Conference girls golf tournament at Crystal Woods golf course Wednesday, October 2, 2013. Kyle Grillot - kgrillot@shawmedia.com Huntley's Gillian Young tees off on the third hole during the Fox Valley Conference girls golf tournament at Crystal Woods golf course Wednesday, October 2, 2013. 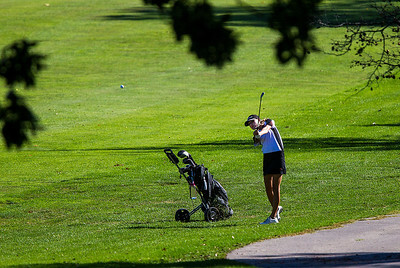 Kyle Grillot - kgrillot@shawmedia.com Huntley's Zoe Dowell watches her ball after teeing off on the second hole during the Fox Valley Conference girls golf tournament at Crystal Woods golf course Wednesday, October 2, 2013. Kyle Grillot - kgrillot@shawmedia.com Crystal Lake Central's Lexi Harkins tees off on the third hole during the Fox Valley Conference girls golf tournament at Crystal Woods golf course Wednesday, October 2, 2013. Kyle Grillot - kgrillot@shawmedia.com McHenry's Kailey Lindholm tees off on the third hole during the Fox Valley Conference girls golf tournament at Crystal Woods golf course Wednesday, October 2, 2013. 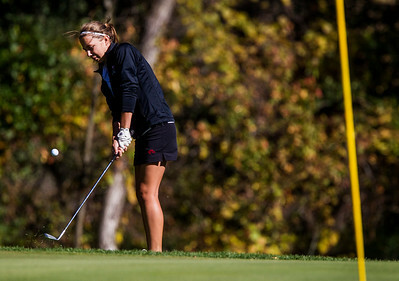 Kyle Grillot - kgrillot@shawmedia.com Huntley's Gillian Young sets up her ball to putt on the second hole during the Fox Valley Conference girls golf tournament at Crystal Woods golf course Wednesday, October 2, 2013. 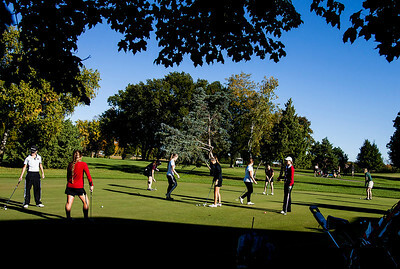 Kyle Grillot - kgrillot@shawmedia.com Players warm up on the putting green before the start of the Fox Valley Conference girls golf tournament at Crystal Woods golf course Wednesday, October 2, 2013. Kyle Grillot - kgrillot@shawmedia.com Crystal Lake Central's Lexi Harkins (left), Huntley's Gillian Young (center) and Prairie Ridge's Brook Johnson advance after teeing off on the the third hole during the Fox Valley Conference girls golf tournament at Crystal Woods golf course Wednesday, October 2, 2013. 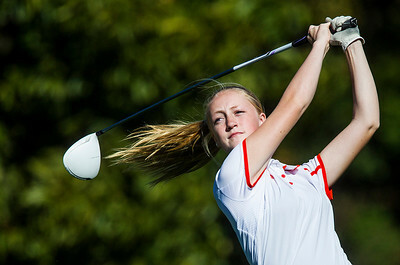 Kyle Grillot - kgrillot@shawmedia.com Huntley's Zoe Dowell hits her ball from the fairway on the second hole during the Fox Valley Conference girls golf tournament at Crystal Woods golf course Wednesday, October 2, 2013. 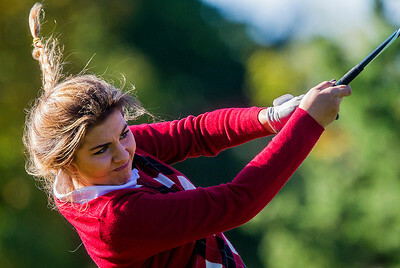 Huntley's Gillian Young chips the ball on the second hole during the Fox Valley Conference girls golf tournament at Crystal Woods golf course Wednesday, October 2, 2013.